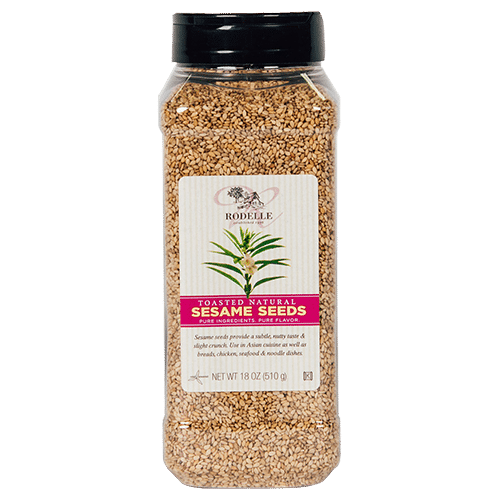 Toasted, natural sesame seeds provide a subtle, nutty taste and slight crunch. They are a very versatile ingredient that adds taste and texture to all of your recipes. Perfect for use in Asian cuisines as well as breads, chickens, seafood and noodle dishes.